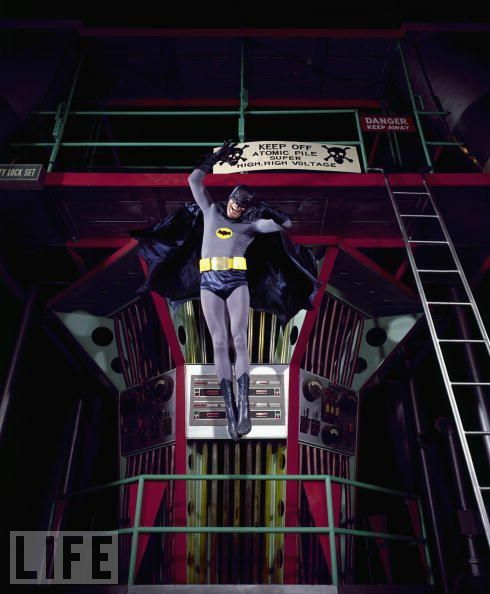 Secret Sanctum of Captain Video: Happy 50th Anniversary, Caped Crusader (and Boy Wonder)! Happy 50th Anniversary, Caped Crusader (and Boy Wonder)! 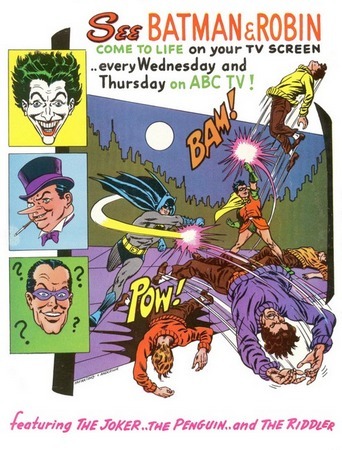 Today marks the 50th anniversary of the debut of the now-legendary Batman tv series! ...and the pic it was flopped and cropped from! 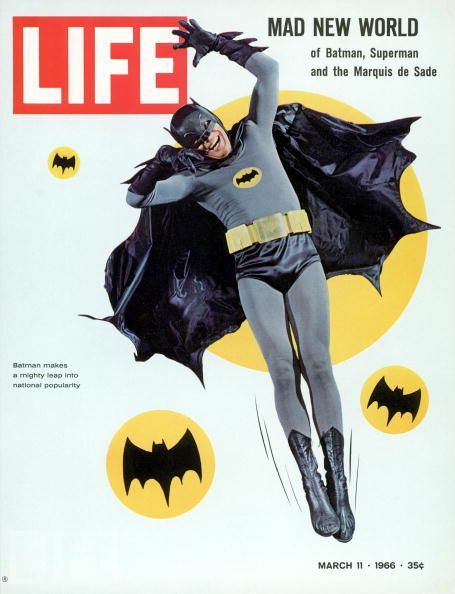 It's hard to describe the 1966 Batman fad to anyone who is too young to remember it firsthand. There were popular TV shows before and afterward, but that thing was everywhere. And, unlike popular kids' superhero shows like the Ninja Turtles or Power Rangers, it was watched by adults as well as kids. We kids thought of it as an action-adventure series, and our parents were laughing at the subtle satire that went over our heads. The camp comedy fad influenced other shows as well. Lost In Space, The Man From UNCLE, and The Wild Wild West had all started out as fairly straight adventure series, but became increasingly silly and juvenile in the 1966-67 season. Oddly, The Green Hornet was (IIRC) played pretty straight, even though it premiered at the peak of the camp fad, and was by the same producer as Batman. The camp fad passed in '67-68, and most of the spy-fi and sci-fi shows ended. The trend on TV for the next couple of years was "relevant," relatively realistic dramas about doctors, lawyers, and cops. The camp fad influenced DC comics, although they never got quite as self-consciously campy as the TV series. Not quite. After the fad passed, Denny O' Neil and Neal Adams restored the character's Dark Knight image, which continues to this day.